The growth of Jiu-Jitsu in Arizona has been nothing short of meteoric within the last few years. The number of academies has grown to over 120 well-established training facilities. Especially seeing an exponential bump in the last few years with some of the bigger powerhouses of Jiu-Jitsu realizing the potential of this ever-expanding community. One of the factors that aid this growth has been the well-organized and highly competitive competition scene that gives the local athletes the ability to compete in-state and test their skills. 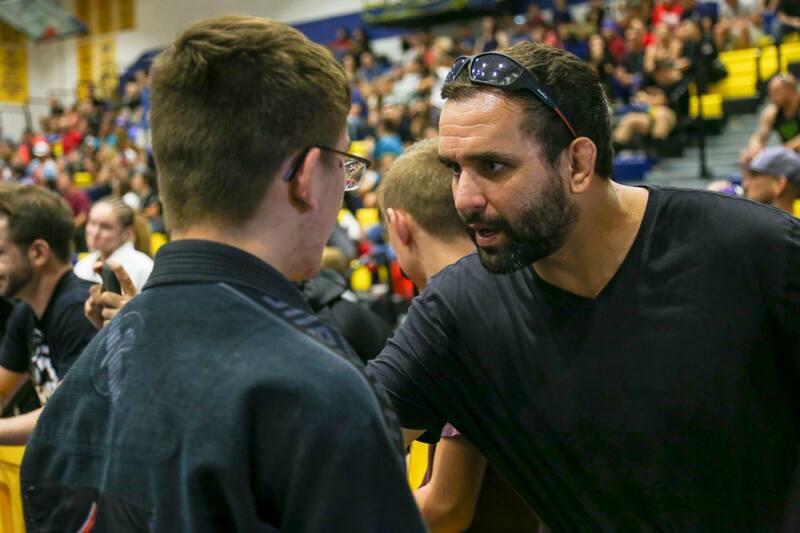 The Arizona Brazilian Jiu-Jitsu Federation has been promoting Jiu-Jitsu tournaments in Arizona since 2001 and this weekend they will host their 2019 AZBJJF SPRING COACHES MEETING. One hundred percent of the funds raised by this event will go to the charity Skate After School. Skate After School is a Phoenix-based nonprofit providing crucial after-school programming in the form of skateboard instruction to underserved youth. “The Arizona Brazilian Jiu-Jitsu Federation is committed to take the Arizona Brazilian Jiu-Jitsu Community to a high level while keeping a healthy and positive vibe between all the academies on and off the competition mats. We are all in the same business, which means that we are in the business of changing lives! This is the main focus of this meeting and we are seeing some of the biggest and most successful schools in the Valley making the commitment to attend and support this.” — Nigel Kurtz, AZBJJF Tournament Director. 1:45 pm to 2:30 pm – Nigel Kurtz – Coaches’ conduct code; plus hands on Smoothcomp mini-workshop. 2:45 pm to 3:30 pm – Samir Chantre – Rules with videos and Q & A. 5:00 pm to 5:15 pm – Closing with Gustavo Dantas.